What makes a good beach? The answer is different for everyone. For some it’s a secluded space where they can simply relax listening to the waves. For others it’s a place where they can meet people, sip on a beer and have a good time. Some are looking for that fantastic wave to surf and other are looking for a place to bring the whole family. 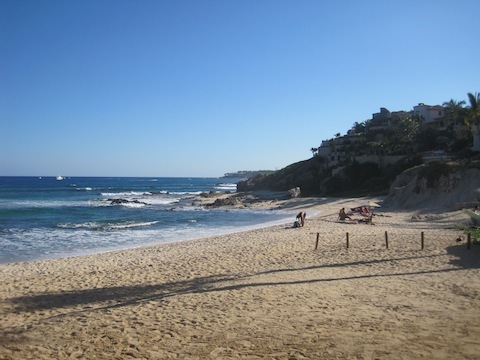 The following list of Cabo Beaches is ranked based on popularity, atmosphere, easy of location and amenities. 10. 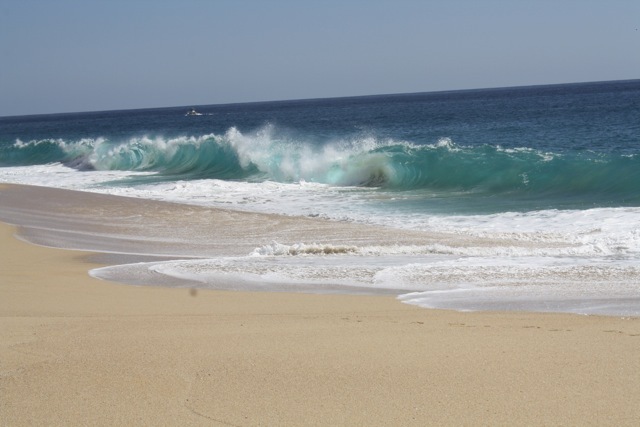 Costa Azul – This beach just on the outskirts of San Jose del Cabo is popular with the surfing crowd. There’s not much for amenities, but the popular restaurant Zippers can be reached from the beach. There’s also a small surfing shop. 9. 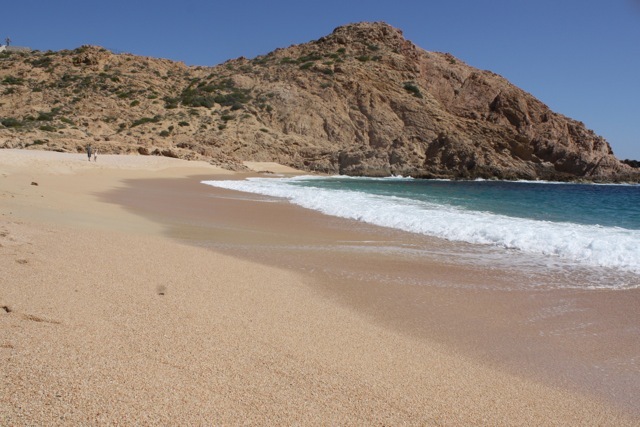 Playa Migriño – This Pacific Beach is about 30 minutes from Cabo San Lucas. It’s rather secluded except for companies that run horseback riding excursions and atv tours. If you are looking for a beach to watch the sunset – Playa Migriño is your beach. 6. 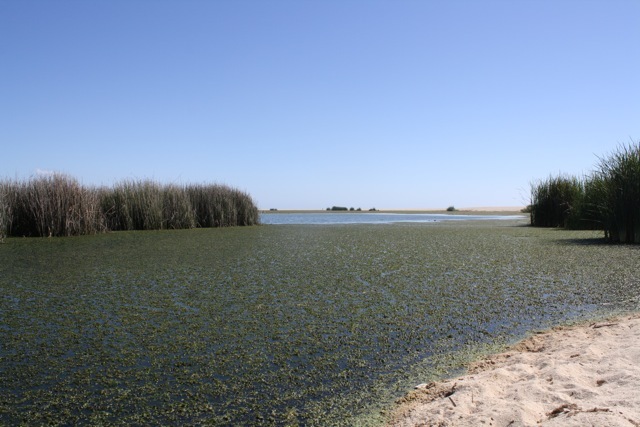 El Estero – A personal favorite of mine simply because it offers something none of the other beaches have – fresh green scenery. 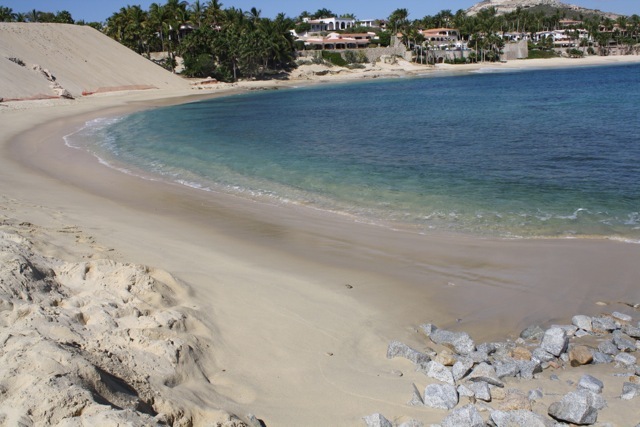 The San Jose Estuary ends at the beach just east of the Intercontinental Presidente Hotel in San Jose del Cabo. It’s great for bird watching. 7. 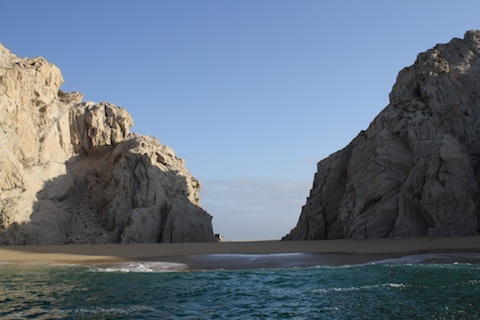 Playa Solmar- This beach on the Pacific side of Cabo San Lucas is great for whale watching and beach walks. Playa Solmar’s large waves make it unsafe for swimming, but great for photographers. 6. Santa Maria – This cove is a popular stop for many snorkeling cruises because it harbors a reef filled with different types of tropical fish. It’s rather secluded during the week and there are close to no amenities except for a few portable toilets and several beach vendors. It’s also swimmable. 5. 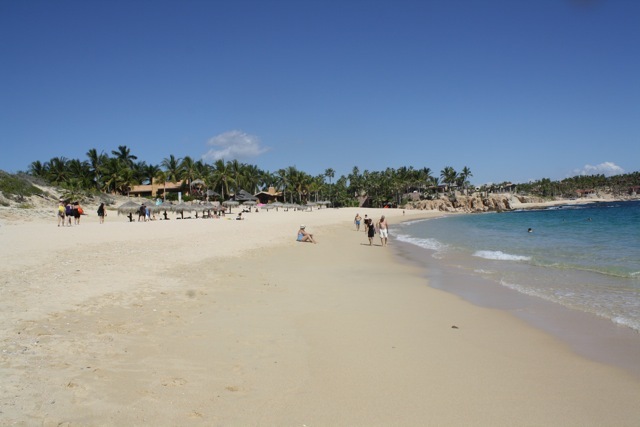 Playa Acapulquito – Located at the Cabo Surf Hotel, this charming little beach is populated with surfers. You can grab a bite to eat at the 7 Seas Restaurant or learn to surf from the conveniently located Mike Doyle Surf School. 4. Playa Palmilla- This cute beach is located just east of the One and Only Palmilla. It offers calm swimming waters and is great for stand up paddling, snorkeling or just relaxing beneath the palapa shades. Many panga fishing boats leave from here as well. 3. Lover’s Beach – Located at Land’s End, this beach can only be reached by water taxi. There’s great snorkeling and it’s one of those Cabo must-dos. There are no amenities so bring your food and snorkeling equipment over with you. 2. 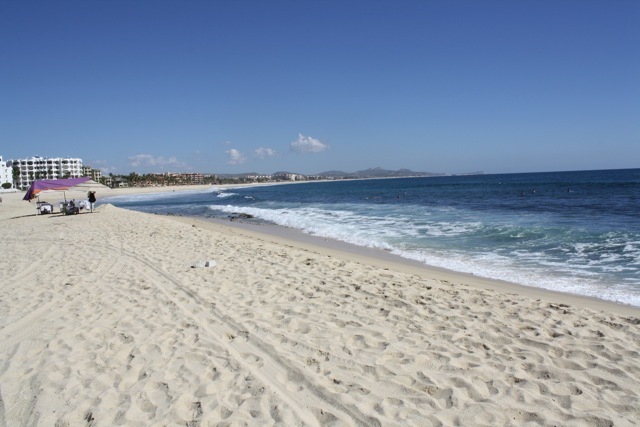 Medano Beach – Medano Beach is by far the most popular beach in Cabo. A lot of hotels are located along this 2 mile beach. 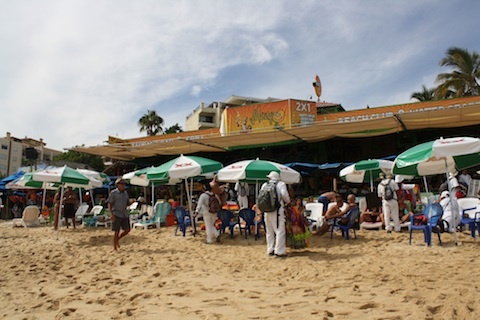 Expect to find beach restaurants and bars, lots of activities and plenty of vendors trying to sell you their wares. If you are looking to party, be active and have a good time, Medano Beach is your place. 1. 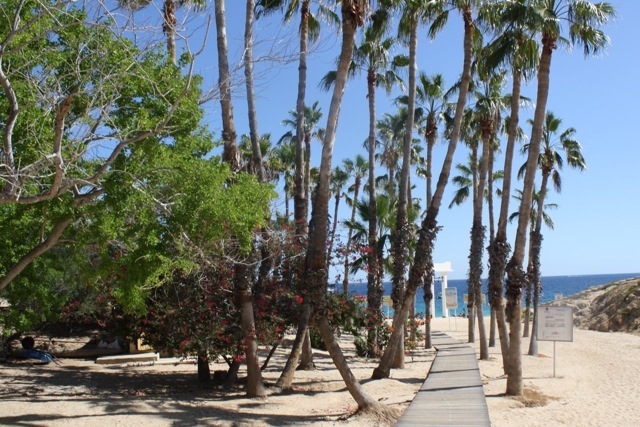 Chileno Beach – Chileno Beach, located in The Corridor, is everything a good beach should be. You’ll find bathroom facilities, palapas to rest under, snorkeling equipment to rent. Chileno is perfect for snorkeling and scuba diving – it has a reef. Bring the whole family as the tide pools to the east are great for kids. It’s packed on the weekends but great during the week. What’s your favorite beach in Cabo?